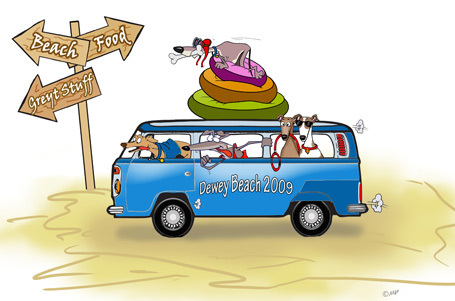 This year at Dewey Beach, National Greyhound Adoption Program will be hosting lectures on greyhound health issues and greyhound adoption. 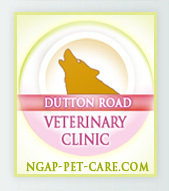 We will also spend a little time talking about our new kennel and surgical facility! Lectures will be held at 17 McKinley Street, outside in the backyard if the weather is good, and inside if the weather is bad. All are invited to attend! Kathy Gutierrez, Animal Reiki Master Practitioner, will be offering private, 10-minute sessions for $12.00 on Friday and Saturday. For advance reservations, call Pat at the NGAP office at 215.331.7918. During Reach the Beach, please contact Kathy at 484.325.1485 or Pat at 215.292.1529. 2010 Greyhound Project calendars, 2009 Dewey Beach baseball caps, t-shirts and other items will be available. 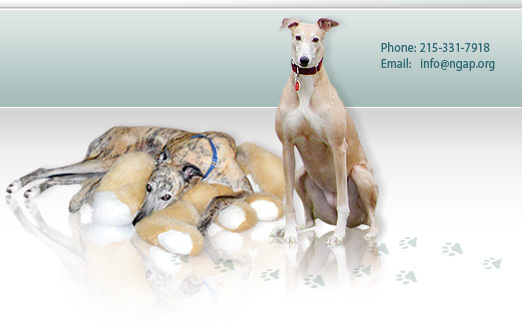 Visit our website store www.ngap.org , or our Ebay store 365 days a year for the largest selection of greyhound products and apparel available. Our new line of beds are also available for purchase on-line. 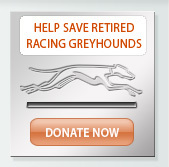 While shopping our store, click on 'Kennel Construction' to see our progress from start to finish!